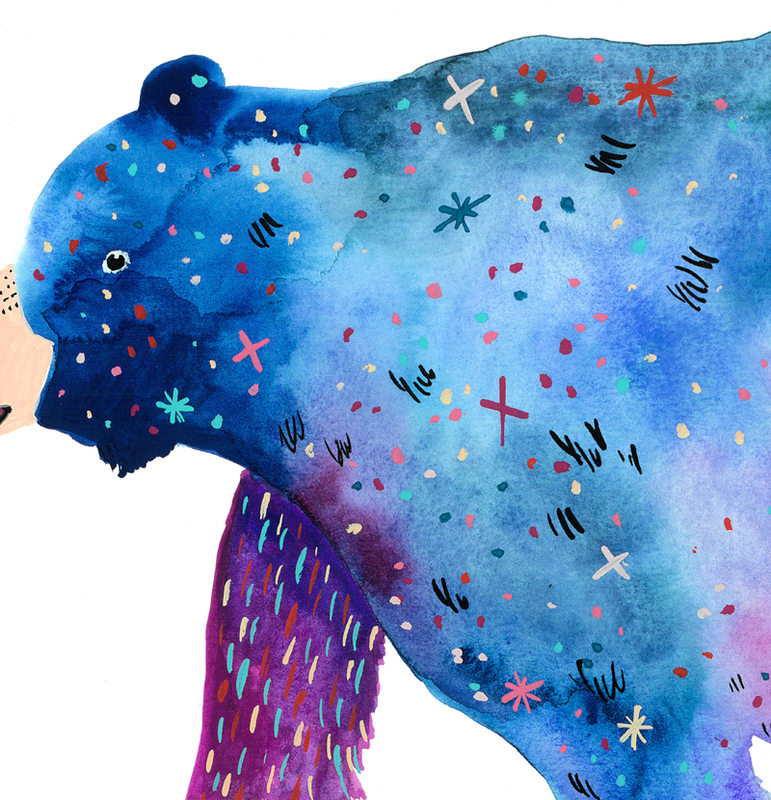 New print up at my shop! 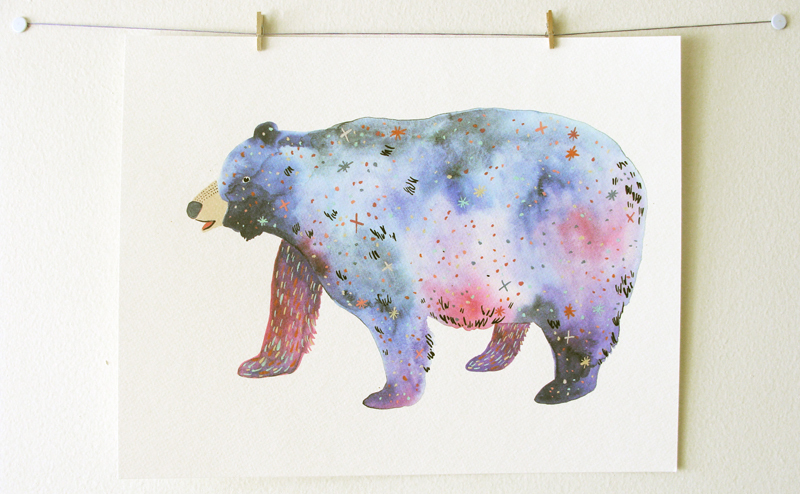 This cosmic print depicts a Bear painted like the fantastical night sky. This is a reproduction of the original gouache painting. This piece is professionally printed on an 11” x 14” sheet of sturdy watercolor paper. It will fit any standard 11” x 14” frame of your choosing.